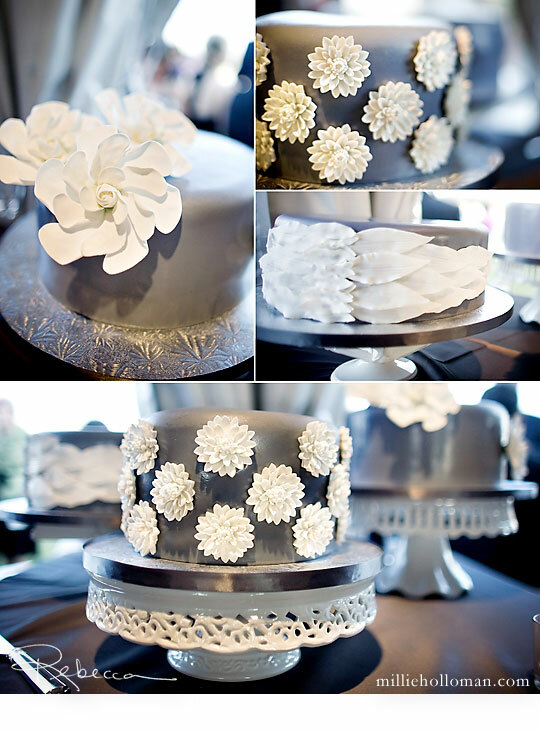 What a gorgeous set of three silver and white wedding cakes by Flower & Flour, a North Carolina based bakery. I found these stunning pictures on the blog of Millie Holloman Photography. Visit Flower & Flour's website here and Millie Holloman's website here to see more of their amazing work.